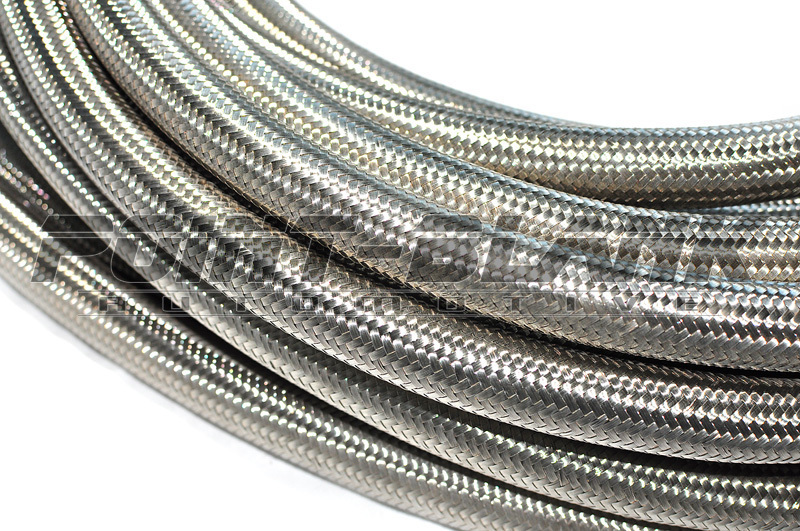 Stainless Steel Braided Rubber Hose used for fuel, coolant and oil systems is compatible with synthetic and hydrocarbon based lubricants, hydrocarbon and alcohol based fuels, as well as engine coolants. It operates over a temperature range of -40°C to 177°C with excellent flexibility, heat and abrasion resistance. Things to note are - used in confined areas with unleaded fuels can result in fuel vapour smells and should not be used for brake systems. 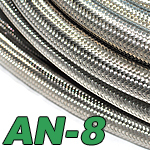 This hose is designed to be used with compatible aluminium hose fittings. Price is per meter. Each QTY is relative to length in meters - eg. 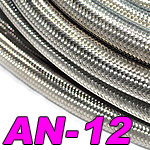 1m = QTY 1, 5m = QTY 5, etc.